Great Z's: How Does Anesthesia Work? Anesthesia has been used for surgical procedures for well over a century now. 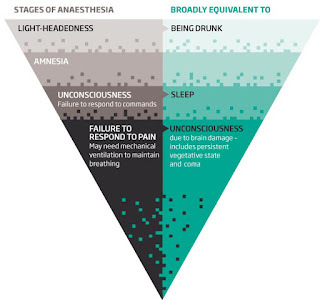 Yet for a subject as important and ubiquitous as anesthesia, we have surprisingly very little knowledge about how it works. 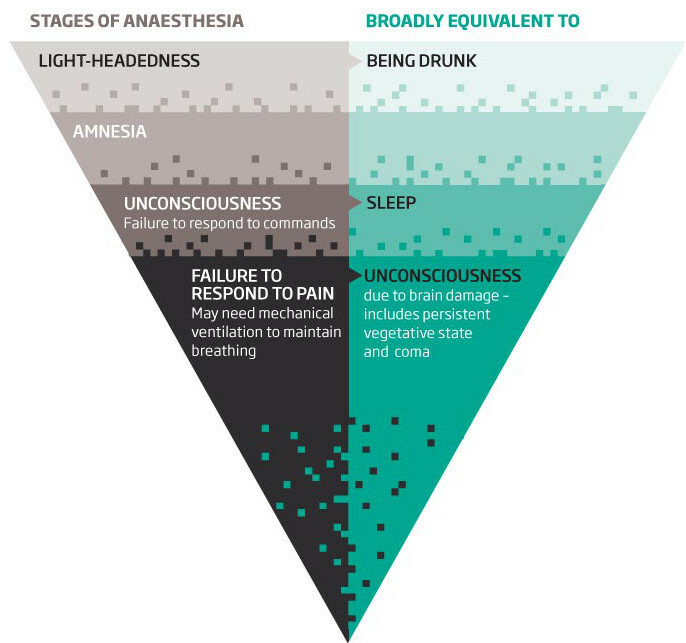 Gizmodo has a nifty article that rounds up some of the theories about how we lose consciousness with anesthesia. It involves ideas as esoteric as microtubules in cellular cytoskeletons and our inability to accurately measure levels of consciousness. In fact we don't even know precisely what it means to be conscious or unconscious in a measurable fashion. This will become more important in the future as our ability to develop artificial intelligence advances. Studies involving anesthesia could eventually pave the way forward for a future controlled by Skynet or Agent Smith. Isn't anesthesiology more exciting than mundane fields like cardiology or orthopedic surgery? Why Do Hospitals Change Anesthesia Groups?